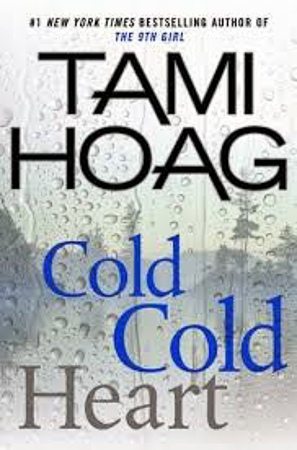 I just finished reading “Cold Cold Heart” by Tami Hoag. She is one of my favorite authors. I find her books suspenseful and hard to put down. I usually finish one of her books in a day or two when I find a free moment to read. I didn’t enjoy this book as much as her other books. I thought this book was much darker and had too many story lines going on at once. When you finish this book, I would love to know what you think. I am going to try to post a book a week on here for those of you that are always looking for new authors. I find I am always in search of new authors to add to my list. I go through books so quickly that I usually end up waiting a year until the next book comes out.